Blogs > Finance, legal, HR > Where’s the opportunity to save? Where’s the opportunity to save? 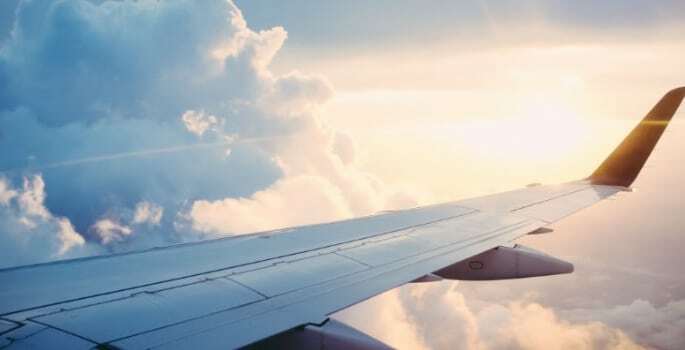 Liz Wallington, Strategic Procurement at Sheffield Hallam University, shares how she has made incremental improvements that have delivered significant gains when it comes to increasing efficiency, productivity and cost-saving, specifically in regards to business travel. We apply the concept of marginal gains to every aspect of booking business travel. This is because I know from experience that when I make a series of small changes to processes that deliver savings – a one per cent saving here, a one per cent there – they collectively add up to a potential for major improvement. It’s a principle used a lot in sport but one we’ve successfully applied to procurement. As a university we are always looking to ensure we are getting value for money in all services we procure. Our academics and staff travel nationally and internationally on university business for a variety of purposes and we ensure we book the most appropriate and cost effective travel. This is becoming increasingly important and we continue to implement step changes in our policies to reflect the greater commercial pressures universities now face. At a micro-level however, I am always searching for ways to save. Collating a level of detailed data allows me to identify particular travellers or bookers who could adopt better practices. It’s a ‘behind the scenes’ activity but it allows me to target individuals with cost-saving nudges, such as “we could save money if you book your train tickets two weeks in advance” or “if you get the train 15 minutes later so you travel off peak”. In March 2015 as a university we hired a travel management company (TMC) because we needed someone who understood our specific needs and were willing to develop bespoke systems for us. As a university it was imperative that we found a company who made it their business to know our business, and as part of that they proactively looked for ways to make the process of booking and managing travel as efficient and as productive as possible. That approach continues to be applied every day we work together and I see my relationship with them as a partnership. We both continually look at the way the university is booking travel and ask ‘could we do this differently’. I invest time in sharing information from the university, on the issues we’re having, and any ideas I may have. They then repay that investment by using their insight into our business and their expertise as travel experts to constantly improve the way we do things. They bring ideas to my attention in multiple ways. Each quarter they provide us with data on where our money has been spent, that allows me to question ‘what are we doing?’, ‘where are we spending?’ and ‘where are the opportunities for saving?’. They also make it possible for me to see our account manager as frequently as I need. We have simplified the process of booking travel. A crucial part of that has been building all our internal authorisations into our TMC’s online and offline booking system. This means we never have to raise a PO. Instead they take all the detail at point of request, forward it to the relevant people in the organisation and once it’s signed off, book the itinerary and send the right insurance documents. It’s really seamless because we took the time to take advantage of back-end capabilities and adapted it to our needs. We book all our international travel through our TMC, because they provide an excellent duty of care package. Not only do they police applications for travel to banned countries, ensuring they act as a gatekeeper, preventing staff from travelling to countries we feel are unsafe; but they know exactly where our staff are and when, when abroad for work. When you are looking after 4,000 members of staff, it’s imperative you are able to know who is where. This means the minute there’s an incident, our travellers in the vicinity are immediately contacted and within hours we get a full status report explaining where they are, the help they’ve received and what needs to happen next. It provides with incredible peace of mind because we care for each and every one of our travelling employees. The level of fees we pay our TMC is actually less than three per cent of the money we spend with them. Yet they provide us with real value for money because of the time they save us. When you’re on the phone with them to amend a booking for the fifth time – because an academic’s schedule’s changed yet again – they are worth every single penny. Their expertise means they can amend bookings, plan last minute trips, or organise a conference, swiftly; and their position in the market means we can tap into preferential rates. Meaning overall, they provide us with savings, in man-hours and in hard costs.